Be entertained by New Zealand's up and coming burlesque stars! Miss V Productions will be showcasing a selection of New Zealand's amateur burlesque performers. 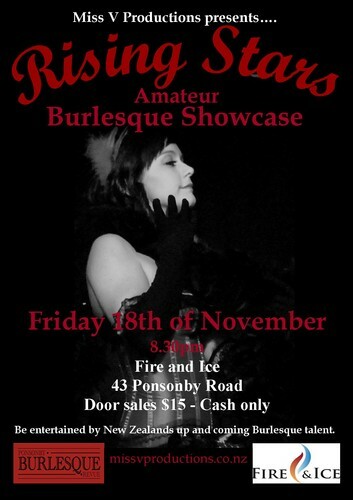 The best performer as voted by the crowd will have the opportunity to perform at the Ponsonby Burlesque Revue! Check out Facebook for the latest information on performers.